Last Saturday, Park Royal Shopping Centre offered council candidates the opportunity to hang out at “the mall” to meet voters. Trustee candidates were not contacted directly, but Nora Gambioli, my friend and neighbour who is seeking election as a District councillor, let me in on the plans and we shared a display table in the centre court of the North Mall. Watching Nora engage people — she has campaigned before — inspired me and I enjoyed the time I spent meeting with residents and voters. There was coffee on the go and sugar cookies decorated with reddish icing — the word “Vote” had been inscribed on the top of each treat. Passers-by were much happier taking the time to snag a cookie and a cup than they were to talk to candidates. However, connections were made and there was a full range of interaction that day: from the “I will avoid eye contact at any cost” to the “I’ll acknowledge with a smile, a nod and move on” to “I was wondering”. One of the most informative discussions I had was with a teacher for the visually-impaired. 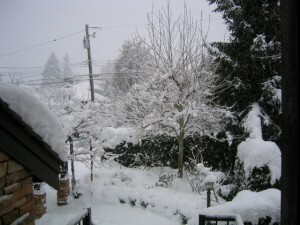 She had previously worked in West Vancouver and now commutes to Surrey to teach there. We had an engaging discussion and spoke at length about the challenges she faces in her work. One of the most interesting points I took from our conversation — aside from the keen sense of her commitment to her students and her passion for her profession — had to do with how the nature of her work had changed. She explained how visual-impairment now was often not treated as a singular challenge. That is, the students she works with now may be struggling with little or no vision, but they must also contend with other issues as well, such as autism or behavioural challenges. Perhaps the ways in which student needs are identified have changed and the increasing sophistication of diagnosis has helped to identify a range of support and assistance required. Our conversation emphasized how important it is, in addressing the special needs of students, to look at the whole individual. We have to identify the complete complex set of factors with which a child may be dealing, and we may not be able to rely on the work of one individual to help a child, no matter how committed or passionate, because their skills may only address one area of need — we need a team approach which capitalizes on the strengths and specializations of the personnel and resources available. I know that the West Vancouver School District has worked very hard to help address the needs of its students. Jody Langlois and the team at Student Support Services do great work. 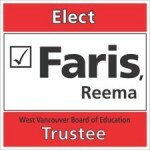 If elected, I look forward to learning more about the approach they’ve taken in West Vancouver to support our students. I hope also to work, as a Trustee, to make sure the programs in place continue to evolve and adapt to new research findings and new modalities of service in order to provide support and assistance to students with special needs on the basis of who they are as a whole, valued individual.